Camp Ripley is a military installation of nearly 20,000 hectares located 10 kms north of Little Falls. The camp is managed by Minnesota's department of military affairs. His name comes from an old fort active in the area during the second half of the 19 century. Its construction began in 1930, and a year later the first troops arrived with the aim of carrying out there basic training for fighting in forest areas. By 1940 the sustained growth of the camp led to accommodate 12,000 soldiers at the same time. That meant that during the Second World War -under temporary control of the army- the site was used by troops from various states to conduct drills and exercises before departing to the European front. Camp Ripley was used as a base for launching stratospheric balloons from the very beginning of the scientific ballooning era. The first campaign from there took place as early as December 1947 and extended until January next year. One of the balloons launched in that campaign would make history as the responsible for a major UFO incident near Fort Knox, Kentucky on January 7, 1948. The sudden apparition of the balloon and the confusion it generated near Goodman AFB, claimed the life of Captain Thomas Mantell. The young pilot in an attempt to pursue the unidentified object, climbed beyond the limits permitted without use oxygen mask. He lost consciousness and died as a result of the crash of the P-51 Mustang he piloted. The site would continue to be used for launching stratospheric balloons and for testing of tethered balloons during the 1950 decade. These are the latest references known of such activities in this military installation. 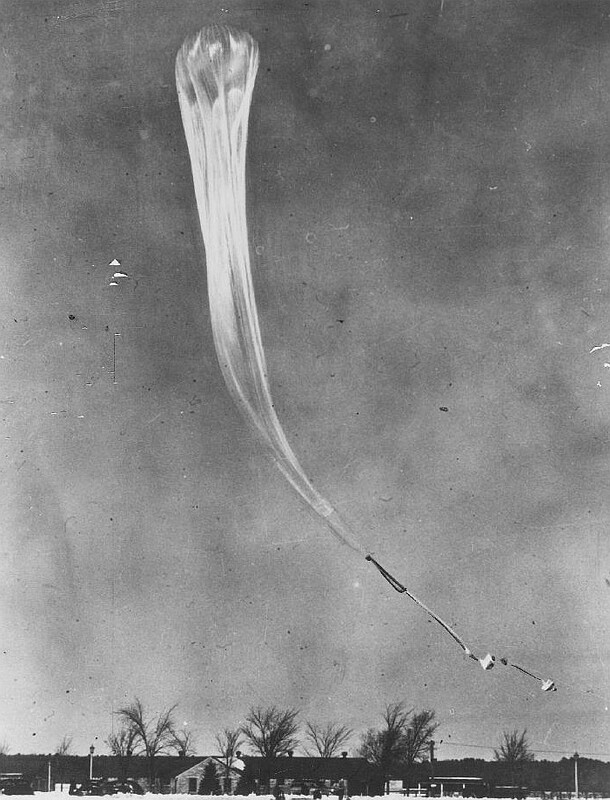 1/6/1948 08:00 CST --- COSMIC RAY STUDIES Preset cut-down automatic device failed.The balloon was lost on the sea.